The Overview: As a cassandra sangue, or blood prophet, Meg Corbyn can see the future when her skin is cut—a gift that feels more like a curse. Meg’s Controller keeps her enslaved so he can have full access to her visions. But when she escapes, the only safe place Meg can hide is at the Lakeside Courtyard—a business district operated by the Others. Shape-shifter Simon Wolfgard is reluctant to hire the stranger who inquires about the Human Liaison job. First, he senses she’s keeping a secret, and second, she doesn’t smell like human prey. Yet a stronger instinct propels him to give Meg the job. And when he learns the truth about Meg and that she’s wanted by the government, he’ll have to decide if she’s worth the fight between humans and the Others that will surely follow. Like I mentioned, I liked it because of its ideas. 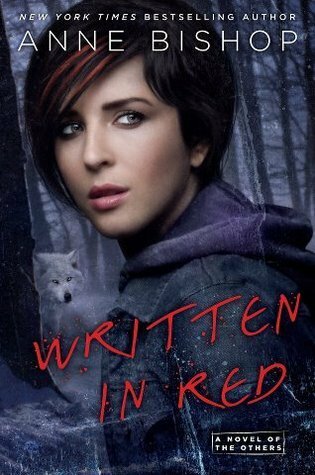 Written in Red offered a newly-conceived society and brand of supernatural that screamed of originality (and let’s face it, it’s really difficult to come up with something that hasn’t been done before in such a flooded market). It was awesome. 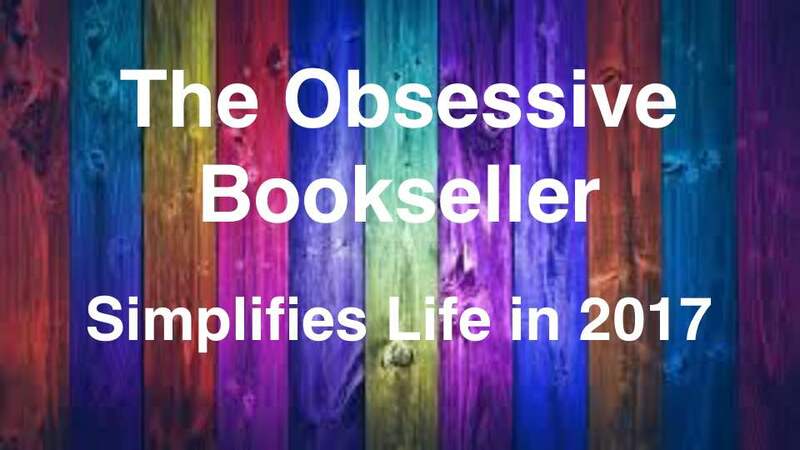 There was also an abnormal focus on business, books, and organization – three things that couldn’t be more up my alley (seriously, my entire life could be summed up by those three words). And I also enjoyed the cute interactions between the protagonist and her new supernatural friends (that’s right, I said cute, which actually sums up how I feel about the book as a whole). So, there’s clearly an abundance of things in this novel that sparked my interest and even I found myself asking the question what could possibly go wrong? I didn’t even notice until compiling these quotes that the carry sacks also offered a supporting role to the scenes. This is one of the funnier examples, but in all seriousness, the writing style as a whole was a lot like these passages – more concerned about how trivial items got from point A to point B then how the specific placement of those items mattered to the plot as a whole. I, for one, discovered that I really don’t give a damn where the towel went. Perhaps if there had been something, anything else driving the plot, these issues wouldn’t have bothered me as much. A conflict of any sort would have gone a long way here, is all I’m saying. I never actually got bored with the story, but after the initial few chapters was rarely ever engaged. If you’re a writer, I would definitely encourage you to read the rest of Wendig’s article – it’s fantastic. And it also helped illustrate the kind of magic writers should be bringing to their stories and why this one in particular left me wanting more. Overall, my disappointment in this novel stems from how much potential it showed at the beginning that was never lived up to. I’m actually quite shocked to find the writing so lacking in an author I’ve been dying to read for years. Especially since so many people seem to love it. At the end of the day, when you’re 80% through a book and are still waiting for the arc of the story to present itself, you might have a problem. Love this book, loves this series. Murder of Crows is even better! Haha yeah, that’s what EVERYONE says. I feel like such the odd man out. Even my own mother loved it too. Sigh…. I couldn’t agree with you more Niki! The first part of this book was great. I, like you, got into the characters and the new world and admit I was riveted…for awhile. Somewhere along the line I lost interest and focus. I started getting frustrated with the development (or lack there of) of some of the characters and the plot in general, not much of any significance happened. But I kept reading…hoping. Then it totally lost me at the end…what a bitter disappointment. I mean…really??? I must confess I didn’t notice the towel or sacks. (Hahaha) But you are too funny and what you said about it is very true. I had such great expectations at the beginning of this book, only to feel like, I’m sorry to say, I had wasted my time reading it by the end. That happens to me too and is so disappointing. Glad I read this review, I was hoping to read the book.